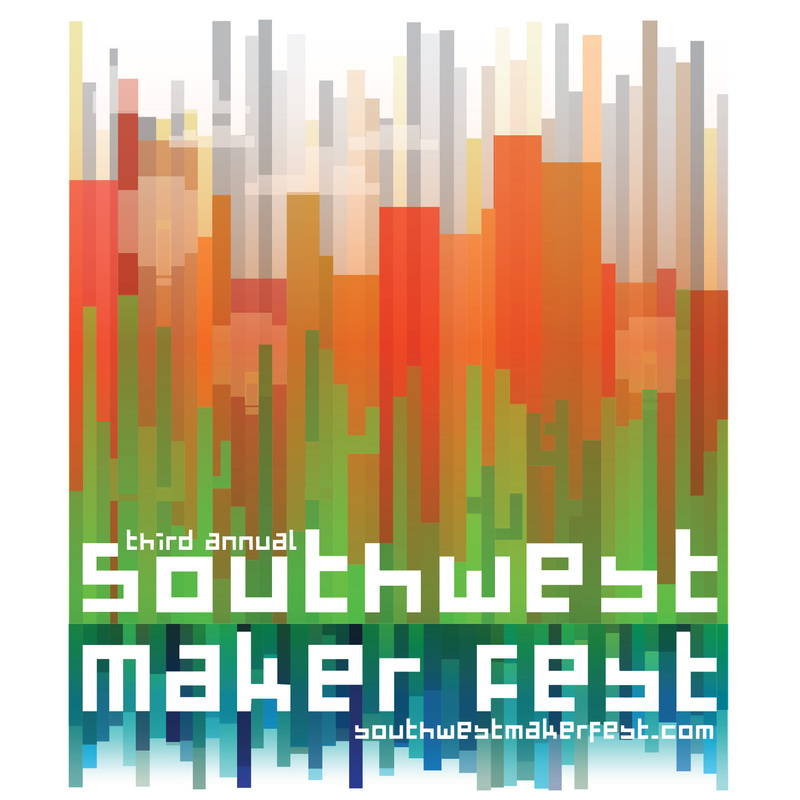 2019 will be my fourth year as a designer/illustrator for Southwest Maker Fest in Downtown Mesa, AZ. 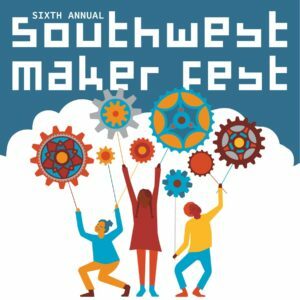 Southwest Maker Fest is a collaborative one-day festival and community of makers seeking to achieve the vision of a connected community, empowered by creativity. 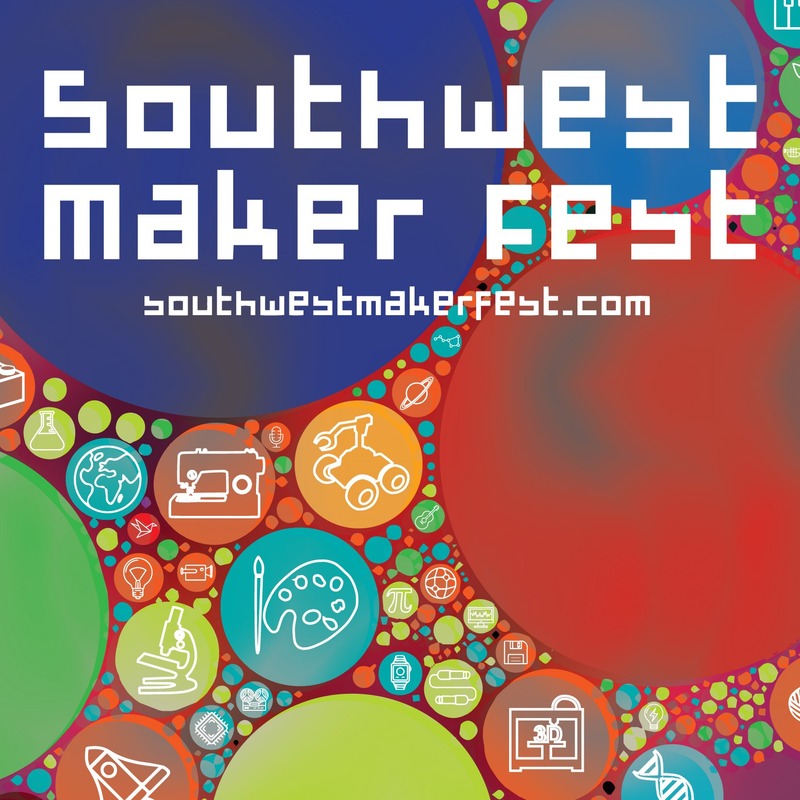 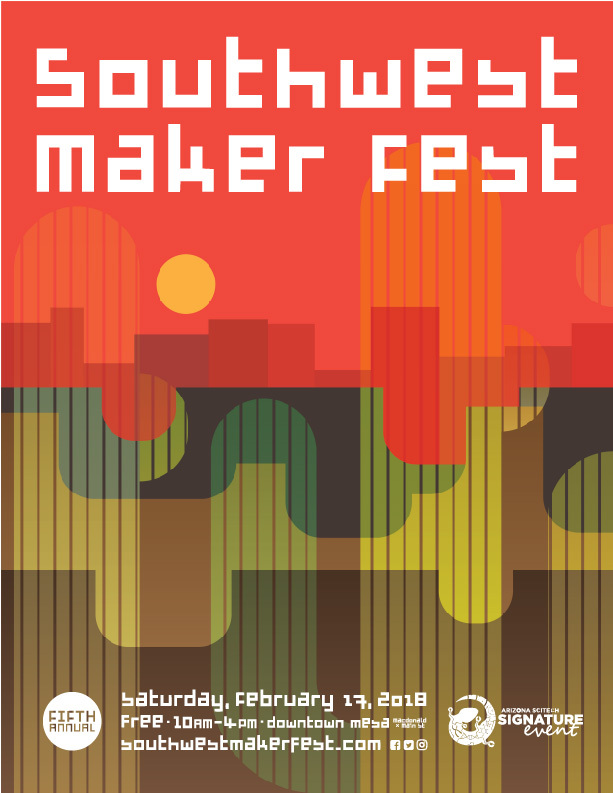 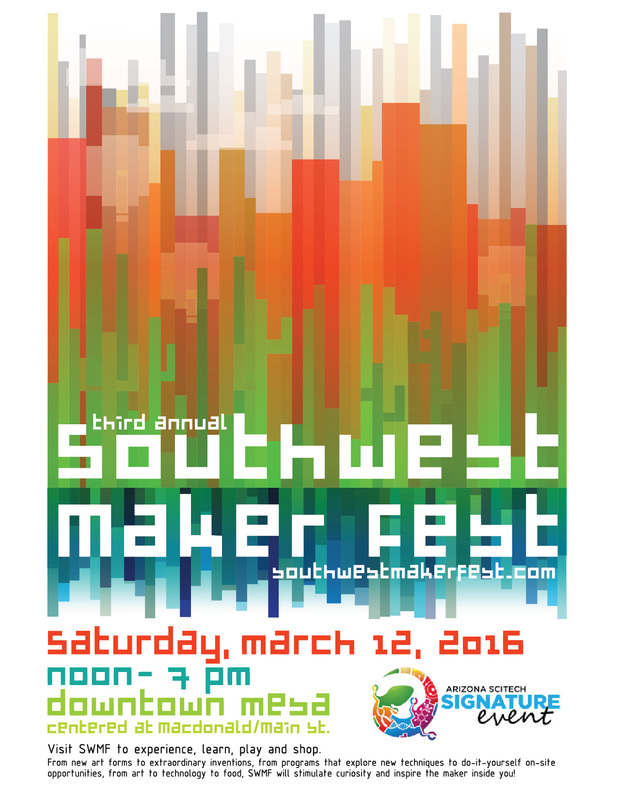 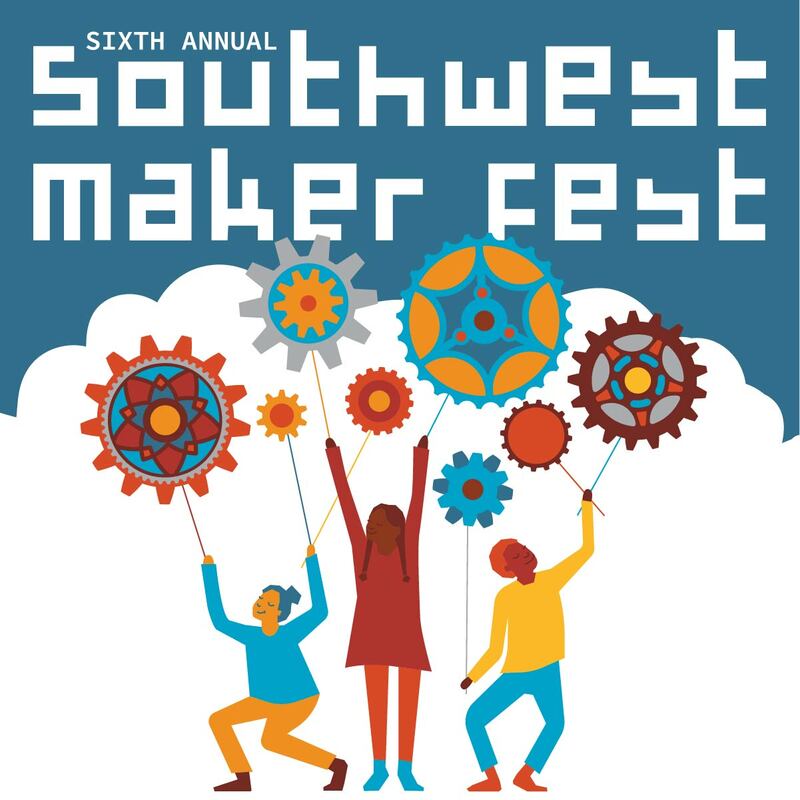 The Southwest Maker Fest (SWMF) mission is to celebrate, engage, and inspire the maker in each of us. 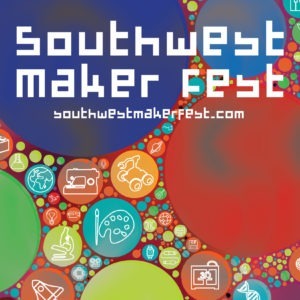 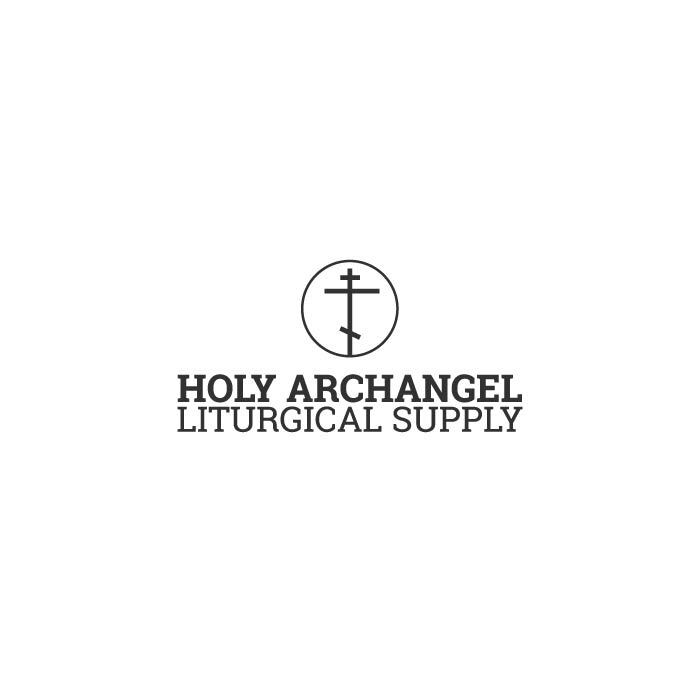 Learn more at Southwest Maker Fest’s website. 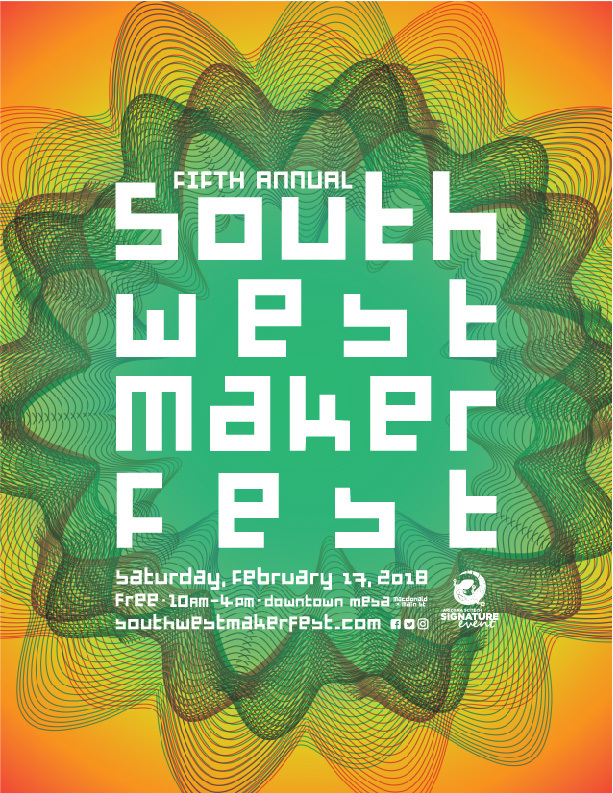 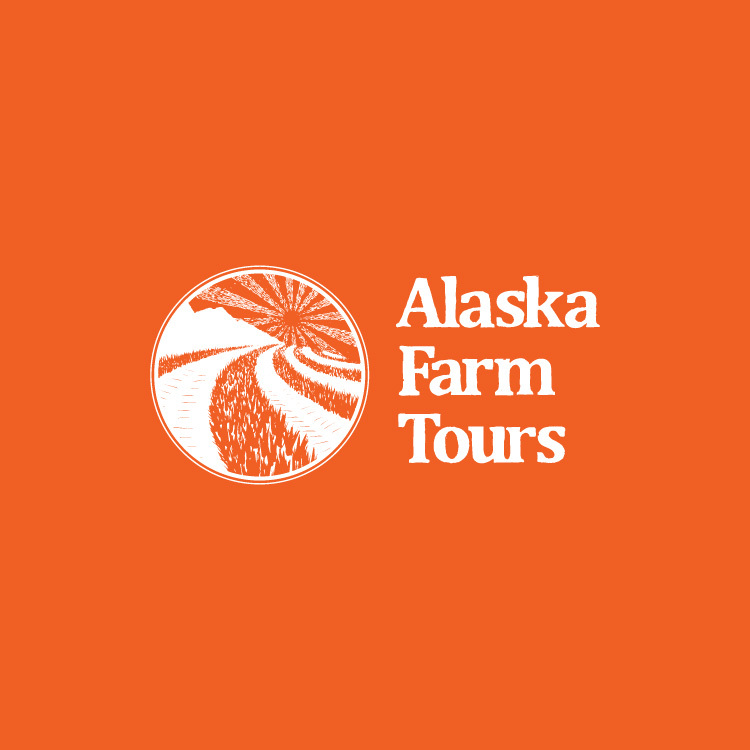 These illustrations implement hot colors, strong geometric shapes and energetic lines to convey SWMF’s diverse range of programs, vendors, and educational opportunities. 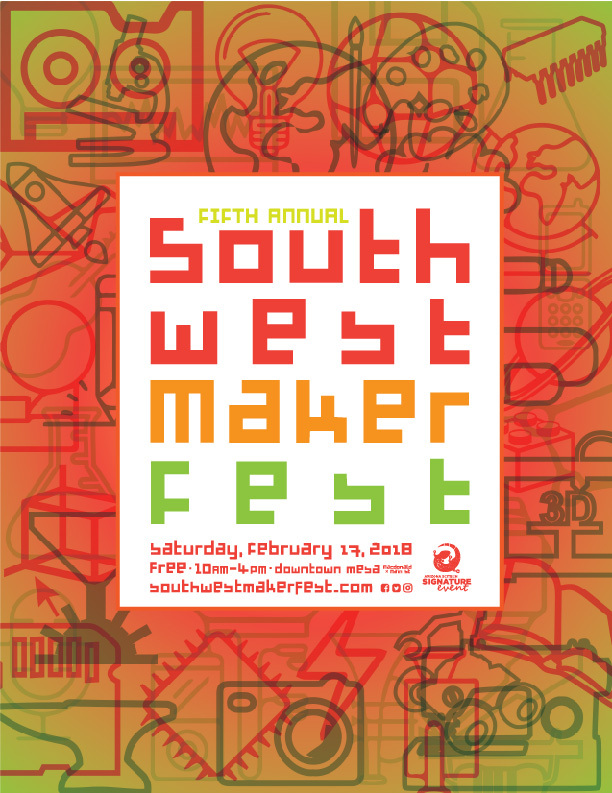 I implemented SWMF’s final selection of the ‘microscope’ design in print materials (magazine, business cards, rack card, flyers and posters) and web graphics (Facebook, Twitter, Instagram, and banners). 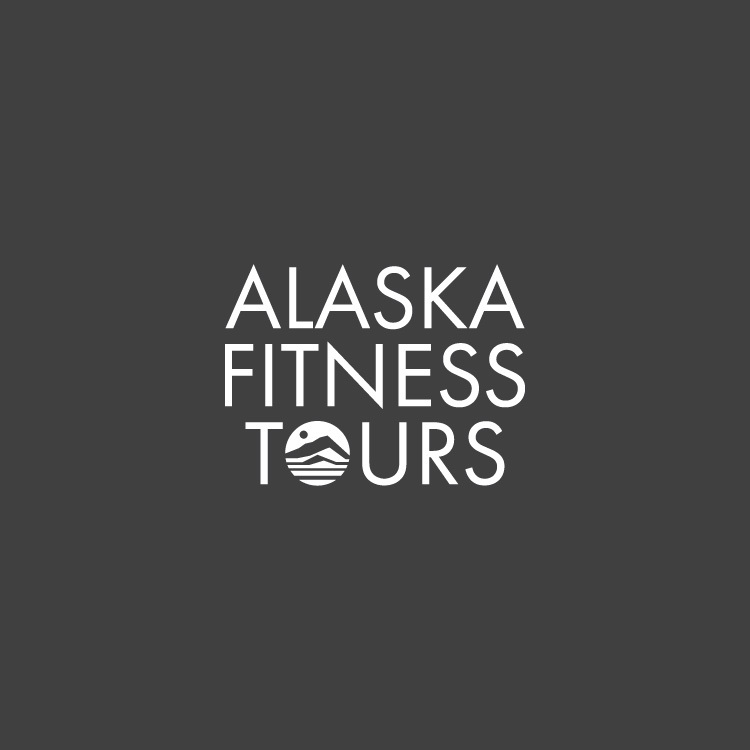 The fillable PDF volunteer business card allowed individuals to print their own customized cards without needing to update the design with their content. 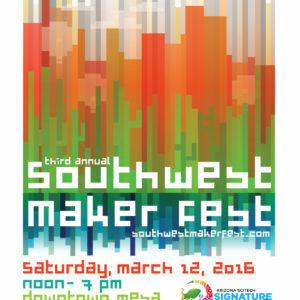 11×17 poster featuring the SWMF logo as well as the Arizona SciTech Signature event logo, plus additional event materials included posters, rack card, event guide, and web graphics.